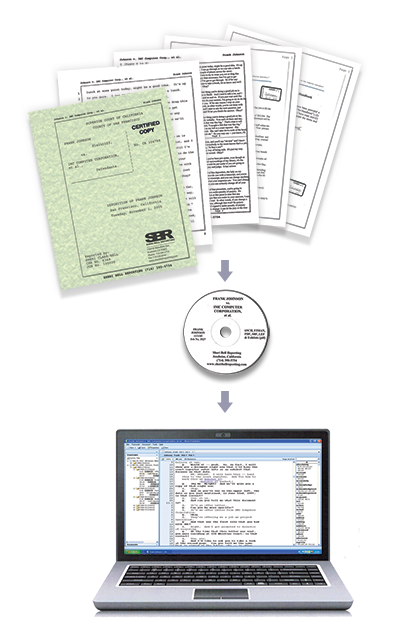 Providing transcripts in a variety of formats to accommodate our clients’ specific litigation management software needs is standard at SBR. After all, we understand that a paralegal may need an E-Tran file to view on her iPad, while an associate prefers a PDF to view on his laptop; one may want the full-sized transcript with hyperlinked exhibits and the other simply a condensed transcript. No problem, it’s what we do! We deliver what you need, when you need it, in the delivery method of your choice – hard copy, on CD, a quick email with attachment/s, 24/7 access to our secure, password-protected online repository, or all of the above!